The Milk have just flown back to UK shores after storming Mallorca and Ibiza Rocks. Their reinvention of soul and reggae has grasped everyone’s attention. So, Est.1987 headed down to Leeds Cockpit to catch up with the boys pre-show to chat soul music, TOWIE and working with an Inbetweener. So, firstly we have to ask you about Mallorca and Ibiza Rocks- how was it? And how hungover are you? LUKE [Ayling, bass]- We didn’t sleep at all. RICK [Nunn, vocals]- But yeah, we had a really good time and the crowds were amazing; we played with Ed Sheeran and I was really impressed with his live show. We had an amazing time. On the final day our tour manager found us on the beach at eight in the morning and just said “go to bed!” We’ve just about recovered. What’s it like having brothers Mitch and Luke in the band? Any sibling rivalry? L- [Laughing] We generally get on, but when we have a row those two [Rick and Dan] leave us to it. 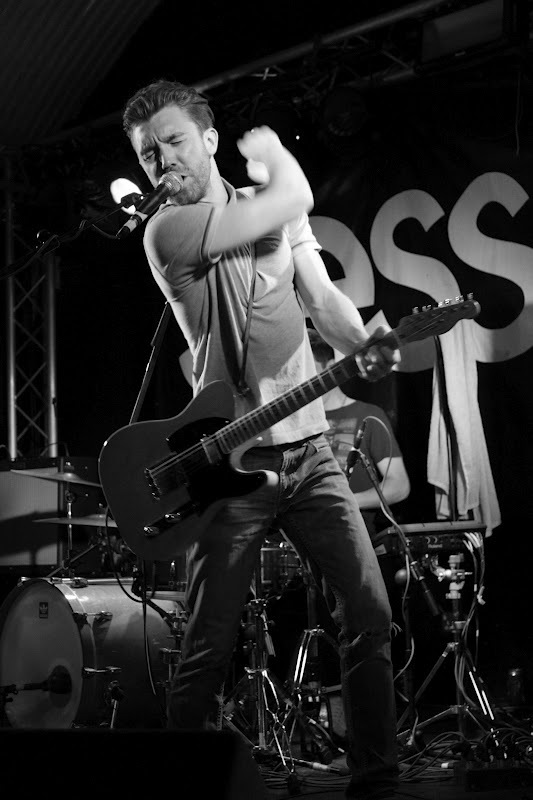 DAN [Legresley guitar]- Yeah, they can say things to each other that friends can’t say, so we just leave them to it. L- We don’t row too often, but when we do it’s like a big blow out and then it’s fine for like six months, best friends. D- We have their other brother on tour doing merchandise and online stuff, so there’s three of them on the road with us. L- Yeah, there’s too much “Ayling” I think [laughing]. Your new single “Every Time We Fight” comes out end of June. James Buckley [Jay from The Inbetweeners] directed and stars in the video; how did that come about? 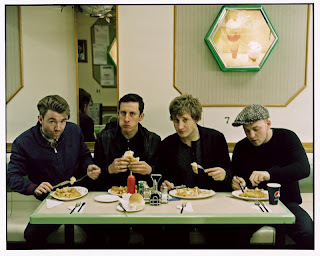 R- We met him at a party about a year ago; we played at a Pretty Green party, Liam Gallagher’s clothing company. James DJs and someone said that he had been playing our stuff in his DJ sets and we were looking for a concept for the video and it was just a very organic conversation mentioning that we should ask him and then it just spiralled like that. The label made a couple of phone calls and we had a meeting with him and he had some really good ideas. And we loved the fact that we didn’t really have to be in the video very much. We turned up, got to play snooker all day and have a few beers. D- We filmed it up the road from where we live in Dagenham, so all our friends and family came down to be in it too and had cameos. Your sound blends Motown, Stax, Trojan and soul but you started as a punk band- how did your sound develop and change? D- [Laughing] Yeah, we’d hide our record collection! But we just started a band at school and punk was great because if you’re not very good at playing then you just turn the amp up, play four chords and scream down the mic and you feel like you’re being rebellious. For us it was an excuse to escape our hometown, jump in our Fiesta at seventeen and head up the M1 and play whatever gig we could. We’d take a tent and sleep anywhere on a roundabout, or on beaches. We did that for a few years and then went our separate ways to uni or working, and then we got together about two and a half years ago through a club night that we put on in Southend. That was us going back to where we sort of came from musically, which was our parents’ record collections; Motown and Stax and stuff like that and thought why doesn’t a band do this? And, this was around the same sort of period that Amy Winehouse hit and we thought let’s give it a go and it developed from there into flavours of hip-hop. L- Working with Brad Baloo from The Nextmen was great; he was the producer on the album. Yeah I was going to ask you about that; how was the experience of working with him? R- He’s the funniest man on the planet! He’s the biggest character in every sense of the word. Literally it was five weeks recording in the middle of nowhere in Northamptonshire and was owned by Toby from Jamiroquai. It was five weeks of laughing all day; you couldn’t have hoped for a nicer five weeks. He’s very fussy with who he works with, which was a very big compliment for us. But if any band gets the opportunity to work with him, do it, he’s fantastic. L- He really helped us develop our sound into something more contemporary and something that’s a bit heavier than the old school soul stuff. There’s no point trying to recreate that, so it was just taking everything that we love about it and asking what does it sound like in 2012? Your album comes out in September and is called “Tales from the Thames Delta” how has growing up in Southend shaped the band? 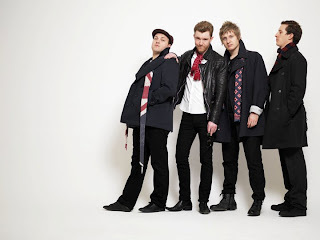 D- There was a documentary a few years ago about Dr. Feelgood who were a band from Canvey [Island, Essex] and they were heroes from around that part of the world and they referred to that area as the Thames Delta. We really liked that idea and we grew up around there and the songs we write are all about escaping from there and it made sense. R- When people ask us where you’re from you have to say Essex under your breath now. D- It’s like we come from some sort of theme park like Disneyland. I guess there’s the ying and the yang and we’re like the juxtaposition of all that stuff. R- We spent all of our youth growing up making sure we didn’t become those people, way before there were camera crews following d*******s around Brentwood and calling it TOWIE. They were the enemy when we were twelve, let alone now. You’ve said before that your name name is arbitrary- there’s no deep meaning behind it; how important do you think a band’s name is? D- It was just one of the things when we were starting out, we didn’t have a fanbase and put it into a band generator. It came up with “Nigel Winterburn and The Flat-back Four” “Charlie Bash and The Up-town Smash” and then “Kenny Cornflake and The Milk” came up and we were like “The Milk’s” kind of cool and we went with it. But before we knew it we were stuck with it because our label was like you’ve got a fanbase now, we like the name, let’s go with it. R- We always had in our mind that we’d get signed and then the label would go “right, let’s be f*****g serious now and pick a grown up name” but no, we couldn’t change it. D- There is something divisive about it; people either don’t react to it or people hate it, but either way they’re talking about us. If you’re doing well then it doesn’t matter what your name is, but when you’re starting out people can make a judgement on the name. L- We’re still building a fanbase so when you say “The Milk” people think of milk, where as when you get bigger, like the Beatles of [Rolling] Stones, you don’t think of an insect or a rolling stone you think of the band themselves. And finally, what else do The Milk have planned for 2012? D- Yeah it’s a big year for us, hopefully the year that we really push through so we’ve got all the major festivals which will be fun. R- We’ll be touring all over this year and then hopefully going to Australia in January next year, and we’ll do another UK tour near the end of the year; Shepherd’s Bush Empire is already booked. We think that live is where we’re at our strongest so we want to put the proof in the pudding kind of thing, and touring is the best way to spend your life! 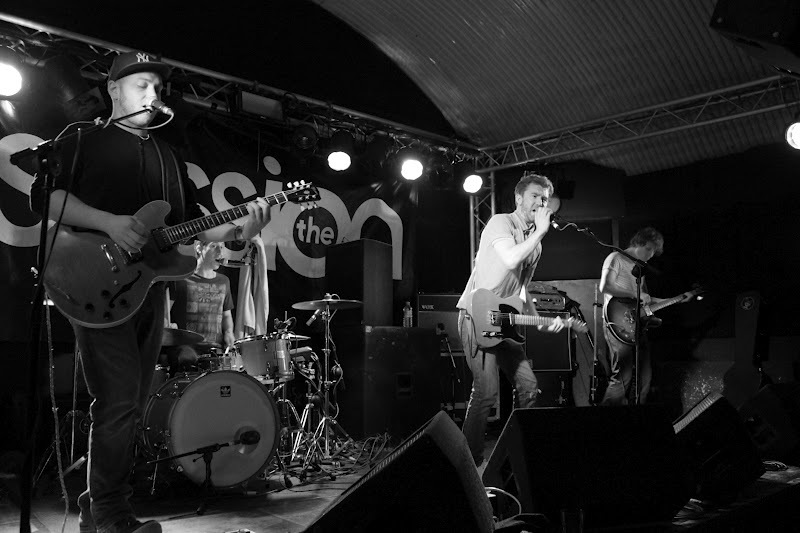 As The Milk take to the stage here at The Cockpit it is clear that the Essex quartet already have a firm fanbase and one that is set to grow by the end of tonight if the band have anything to do with it. 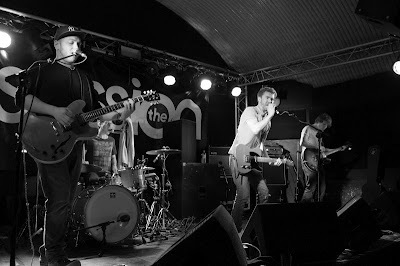 On record The Milk are soulful, tight and have a refined contemporary sound, and live vividly brings all this to life. The hand-claps which open the set act as a call-to-arms to which the audience reciprocate, and the energy bar for the night is set. The setlist shows off The Milk’s musical spectrum, from the gritty single “Broke Up The Family” to album tracks such as the ska and reggae infused “Mr. Motivator”. The band’s album isn’t released until September, but the majority of the crowd here tonight know most of the lyrics to every song; testament to the support that the band have already stirred up. Instead of stopping and starting between each song, The Milk move seamlessly from track to track, allowing the night and energy to flow. Debut single “(All I Wanted Was) Danger” is given a fun twist with the introduction of Wretch 32’s “Traktor” whilst they also throw in a soulful, slowed down cover of Stardust’s “Music Sounds Better With You”. As much as the band’s sound is so deeply engrossed in vintage Motown sounds, they are also here to experiment and have fun. “Picking Up The Pieces” proves The Milk aren’t afraid to include a heavier riff or two; this song takes on epic proportions, it’s rise and fall makes way for a breakdown before kicking back in again. Lead singer Rick Nunn’s raspy vocals, group harmonies and occasional nods to hip-hop, in addition to the Stax and Trojan influence which typifies The Milk’s sound combine well to make for an intriguing live set. 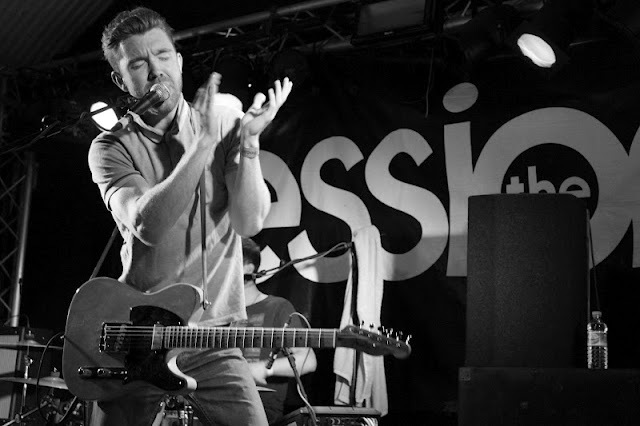 “The only reason to come out on a Saturday night is to express yourself” shouts Rick. The crowd don’t need to be told twice and as the set continues the atmosphere within The Cockpit is electric. 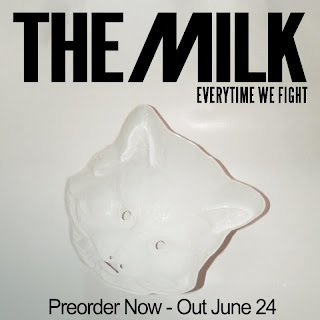 Catchy riffs on songs such as new single “Every Time We Fight” prove what great song writers The Milk are, and why their songs work effectively live; they are songs that inspire the crowd to move and sing-a-long. And for good measure The Milk, after audience request, throw in their cover of Chemical Brothers’ “Galvanize”. Their version of the hit song is impressive and the perfect end to the evening, the anthem soaring through the venue. 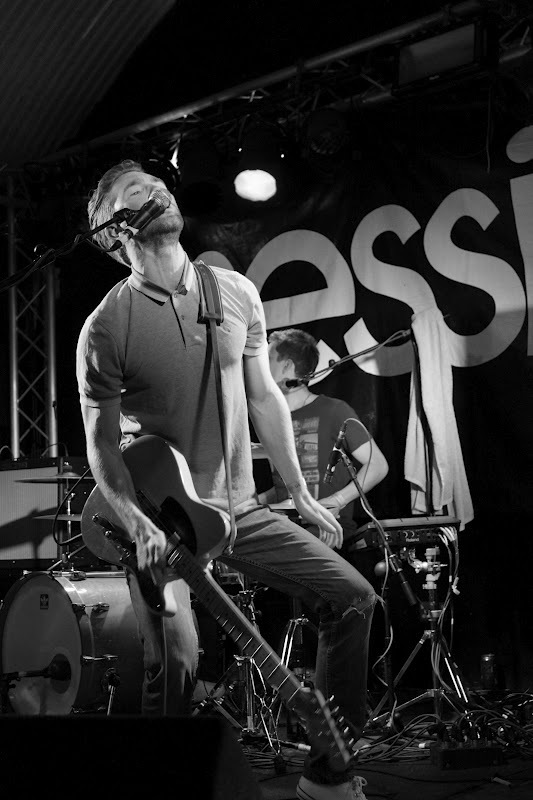 And I think I will leave the closing line to the band themselves; “We’re The Milk, please spread the Gospel”.